Mobbo, the leading mobile SDK intelligence solution, has released a new, mobile SDKs trends report, after analyzing 8 Million mobile apps. The study offers a look at the best performing mobile SDK (Software development kits) solutions, covering 9 categories: Payment, Data Monetization, Rewarded Ads, Analytics, Attribution, Engagement, Crash Reporting, Social and Monetization. 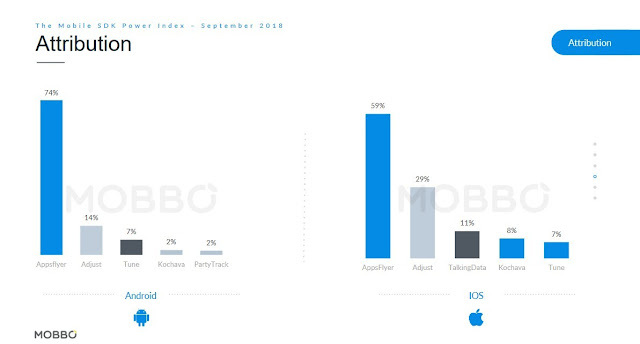 As with preceding editions, The Mobbo Power Index offers app publishers and marketers insightful benchmarks of mobile app SDK components, helping them to make informed decisions about the best technology stacks. The new report sheds light on the scale and performance of popular SDK components and tracks the movers and shakers in the mobile industry. "We're excited to release the latest edition of The Mobile Power Index," said Ofir Krisspel, CEO of Mobbo. "To improve and ultimately perfect an app, developers need to select the right SDKs. However, in today's marketplace app developers are literally inundated with SDK choices, making it difficult to choose the best ones. As the leading SDK intelligence provider, we are in a unique position to offer an in-depth look with valuable information for app marketers in their quest to pinpoint the best SDKs to integrate with. The new Index reveals industry changes and new players in the always-evolving mobile app landscape." PayPal is the most popular Payment SDK on Android with 66% market share. Unity Ads is the most popular Rewarded Ad SDK on Android with 68% market share. Appboy is the leading engagement SDK on Android with 65% market share, the next most popular Engagement SDK is Onesignal with 11%. Crashlytics is the most widely used Crash Reporting SDK on both Android and iOS. 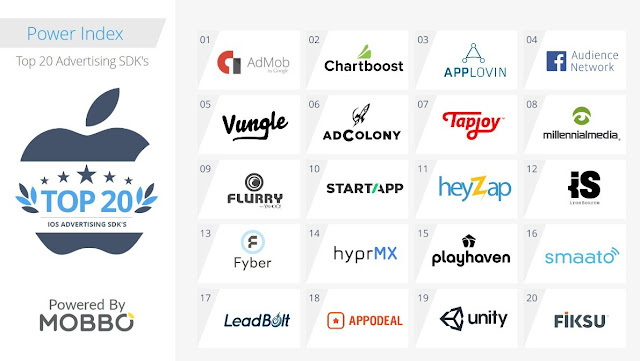 Stripe, Alibaba, Yandex, Smaato, Mopub, inmobi, Heyzap, Revmob, Opera, Appodeal, Leadbolt, Aol, Flurry, Ironsource, Appnext, Swelen, Amazon ads, Mobvista, Hyprmx, Airpush, Lifestreet, Appnexus, Fyber, Vungle, Adcolony, Cuebiq, OneAudience, Twine, Areametircs, Umeng, Adjust, Tune, Kochava, TalkingData, Intercom, Leanplum, Branch, New Relic, Chartboost. Most of these companies are based in the U.S because of the size and importance of that market. However, companies from Asia Pacific are also expected to become major players soon. To explore additional trends, please download the full report here.